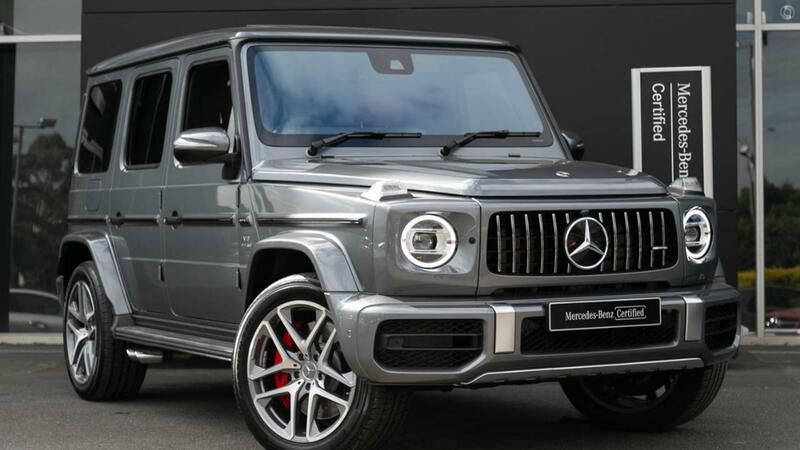 Australia's Most Awarded Mercedes-Benz Retailer proudly presents this New Shape G63 available for immediate delivery! Why wait over a year when you could have this incredible example on your driveway today! Specially constructed to order in Graz, Austria in an incredible specification - Selenite Grey Metallic with Exclusive Interior Plus in Classic Red/Black Exclusive Nappa Leather, with AMG Carbon-fibre trim and the AMG Performance steering wheel in DINAMICA microfibre / carbon fibre to complete the perfect specification. Do not hesitate and take the wheel of your incredible Mercedes-AMG G63 with absolute confidence - ONLY from a Certified Mercedes-AMG expert and the reigning "Mercedes-Benz Metropolitan Retailer of the Year" again, for the 5th time in 6 years! - Upper and lower parts of dashboard in nappa leather. - Touch pad with controller. - "V8 BITURBO" AMG lettering. - Vehicle key in high-gloss black and matt silver. - AMG RIDE CONTROL - Adaptive Dampening with "Comfort", "Sport" and "Sport +"